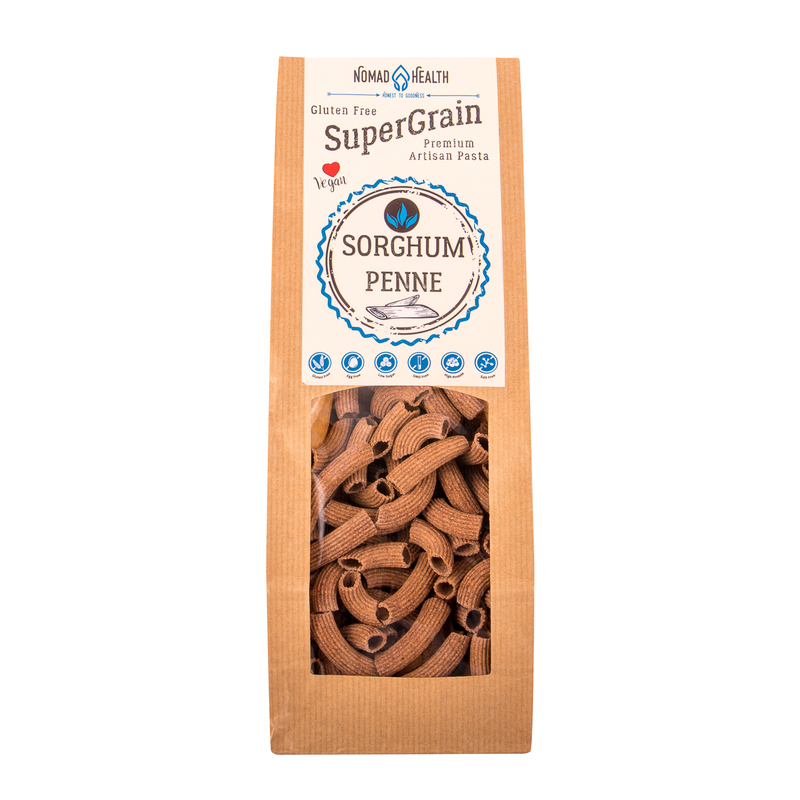 SuperGrain Shorgum penne is made in small batches in Nomad Health's family run workshop by hand. 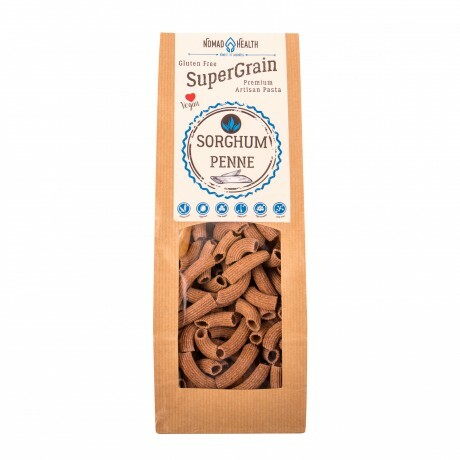 They use pure naturally gluten free & nutrient rich ingredients: sorghum flour, psyllium husk, red grape seed flour. It tastes slight sweet taste. Its enjoyment value is high, it keeps its texture perfectly even after cooking. These rich in minerals and easy digestible pasta, are also high in B-vitamins, which help improve your muscle and nerve health. The psyllium husk is an ideal fibre source for those, who are sensitive to wheat, as It has a calming effect on the sensitive intestines, which could be troubled by the fibres of wheat. High in iron, phosphorus and potassium They are certified by Sugar Wise. Available to buy in packs of 3, 5 and 10 (200g each). We had a version this pasta made with quinoa and it was quite simply the best gluten-free pasta I've/ we've ever tasted. Flavoursome pasta handcrafted with the finest naturally gluten free ingredients.